A Snedden raised bull out of a high producing 12 year old cow. 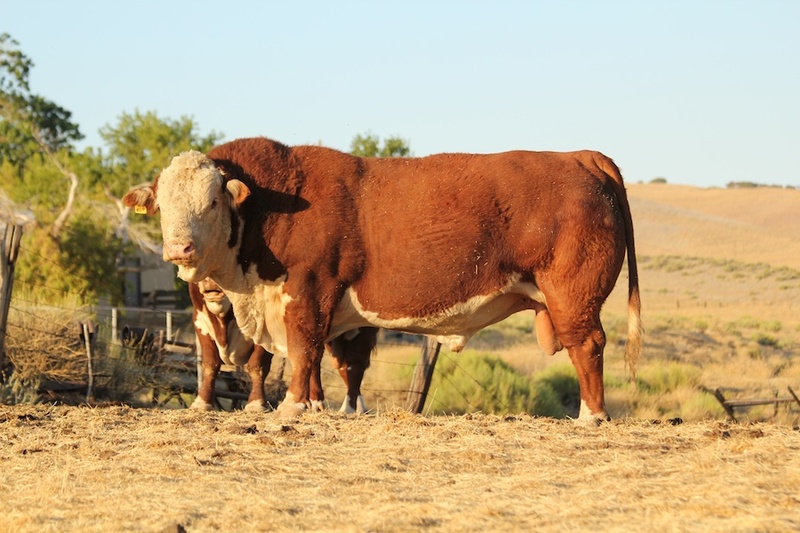 This bull shows exceptional muscling, thickness, and length. A son of his was the lowest RFI(lowest cost of gain) Hereford bull in the 2012 Bulls of the 21st Century Sale, with a great carcass scan for REA and MARB.